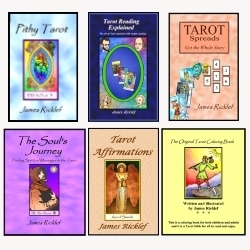 There are many ways to use Tarot cards beyond the well-known process of traditional readings. Here’s a way to create a happier, more fulfilled life today using messages and advice from the Two of Pentacles. Although hard work is important, all work and no play makes Jack a dull boy, as another saying goes. And so this card says, “Whatever you are doing, have some fun while you’re at it” because having fun is a key ingredient in attaining a happy life. In fact, there is a keenly transformative power in having fun. Today, find something to make you laugh from delight, for the sheer joy of life. One way to do that is to play with children. They know all about that sort of laughter. Or play with your dog or cat. They too know how to have fun in life. Today, as often as possible, smile and act like you’re happy! Perhaps you can draw a picture of a happy face and tape it to your bathroom mirror to remind you to do this. You may wonder how this works. How can putting on a smile and acting as if you’re happy (whether you are or not) actually make you happy? To answer that, here is an excerpt from a blog post about the meaning of the Two of Pentacles. A way to become a happier person is to act like it. Even if you think, “Oh, this is so artificial,” do it anyway: Act like you’re happy. For example, when you’re preparing dinner, put on some upbeat music and dance around the kitchen while you cook. Whatever you think is an act of a happy person, do it. We all know that how we feel affects the way we act, but what we don’t know is that this works in the other direction as well, which is a pretty profound realization. In fact, studies have shown that just putting a smile on your face will change your brain activity because it thinks that since you’re smiling, you must be happy! So at the very least, do that: Smile. And if you can do something more (like dancing in the kitchen), do that too. This simple message can change your life, and there’s a great side effect too: it will also make the people around you happier.